With new techniques for computerized patient specific and robotic surgery, in addition to novel types of pain control, we now perform our total knee replacements as outpatient procedures at our specialized surgery center whenever possible. Knee replacement means replacing the worn-out, painful knee joint surfaces with metal and plastic components. We choose artificial joints only when we cannot help you with one of our biologic approaches, and we perform partial replacements instead of total knee replacements frequently. While we have been very successful at helping people delay or avoid artificial joint replacement despite relatively severe arthritis, there comes a time when either partial or total artificial joint replacement is needed. However, our bias is to always replace only the worn-out areas of your knee. 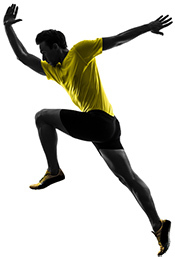 The new techniques of knee replacement and athletic rehabilitation now permit our patients to have their surgery as an outpatient, to walk on the knee immediately and to return to sports after full rehabilitation. Increasing exercise and activities naturally increases bone density and muscle strength, remarkably improving the outcomes and satisfaction after total knee replacement. While no guarantees can be given, we use the optimized knee replacement designs to allow a wide range of sports participation, to last decades, to provide pain relief, and to allow for good range of motion. An artificial joint is not a normal joint and we work around the compromises by focusing on accurate, computer-driven placement followed by immediate physical therapy and training. Many of our patients return to skiing, hiking, climbing, golf, and tennis better than they have been in years. 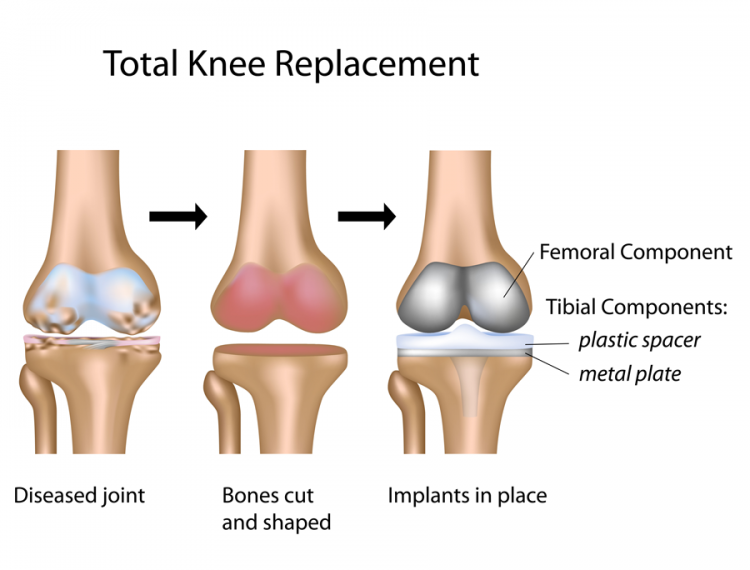 Want a more detailed look at how a total knee replacement is performed? We see a total knee replacement as a last resort. Often we find that patients have been told they need a total knee replacement when they could in fact benefit from something less invasive. Where possible, we rebuild and regenerate knees with a bioknee replacement using donor tissue. If the knee is too damaged for these procedures then we aim to replace just the part of the knee which is worn out with a partial knee replacement. Find out more about these techniques and whether they would be right for you. When it comes to rehabilitation we recommend that the patient starts before surgery and immediately afterwards, continuing to exercise for the rest of their lifetime. At The Stone Clinic, we personalize our rehab protocols to suit each individual with the goal of helping them be better than they have been in years.